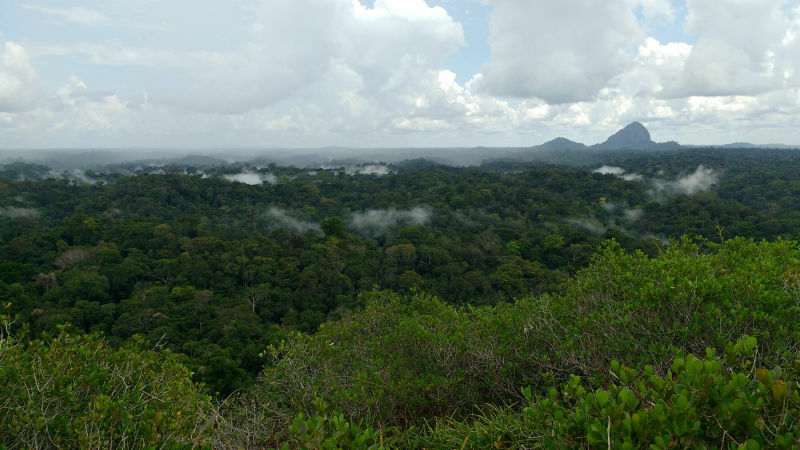 The Wapichan people and our ancestors have occupied and used the whole area that we call Wapichan wiizi in the Southern part of Guyana for generations. The Wapichan territory in Guyana is located in the South West of the country and its western boundary lies along the Takatu River which is the Guyana Brazil border. Wapichan territory contains a wide variety of different kinds of lands including forests, savannahs, mountains, wetlands, rivers and savannah woodlands that we call bush islands. Wapichan territory in the east is carpeted in rich green old growth rainforest that contains many sites of special cultural, historical and spiritual importance for the well-being of our people. The savannah lands likewise contain very important sites and useful resources used for food, medicines and ceremonial and spiritual purposes. We have lived in harmony with our environment through our close spiritual attachment and respect for the land. Beliefs and practices on caring for the land have been passed down to us by our foreparents and these values continue to be embedded in our way of life up until today. Wapichan wiizi kiikizaizu danaa-an kaina’a bakadin-kida amazada kaina’a kanoko kida, baaraza kida, midukuo kida, baawuza kida, wa’ozi kida napain katonaru kinda. Wapichan wizii tawudaiakao imanawunu’o ikanoko tinpan, ikuwanaa imanawun’o kotuao dau’u kida’o napain na’apam amazada taapiki nao kazan aatapan pa pidanan-nao ipai niinain kida aii. Barraza na’apa kapam itaap imanawun kida imakan wa-aikodo kizi wa wanukunu kida, wa kasara kaduzu kida napain wa paracharapa kizii danaa kida. Wa mashapa nii konaukii baokopo ipai bakadin kida’o-raz wa-amazaditi kida tum, wuru’u kida ida’ano wakadokotinauzon amzada ta’apiki nao tumu.I paikanom wamishud nii napain napam wa kuduzu kida wa dokozin nao dobatu kida nii kidaz waati uru’u kida ida’anao wa kazan aatapan napain wa-karodopan wa wiizi ikauan imanawun wa taapan uzu wa mashapan kaduzu kida atii kaoraz doon. Our fore parents began work for the full recognition of our territory in the nineteenth century, yet only pieces of our land were recognized in the 1930s. In 1967 a group of our leaders came together to present a written request for legal title to all of our lands in Wapichan wiizi in submissions and letters presented to the Amerindian Lands Commission. Some further land titles were received in 1991, but still did not cover the full extent of our lands. Wa- dokozun –nao sakadanii pa mizapan wa wiizi nineteenth centry dono, mazan ipu’uzii kai kasodi wa wiizi nii taakao 1930s dono. Aizii 1967 dono wa-toshaowan-nao baskopo tinan isadan kariti Amerindians lands commission ati ipishan Wapichan wiizi kaimaidauu ka karitannaat kao . Taa karu mish pabi’I kida wiizai karitanaa 1991 dono. Mazan aonaa karikaonan ishibatan kaimaiu daun wa wiizi . Work started in 2000 to map our traditional occupation and use of the land using our own mappers who worked closely with our communities and holders of traditional knowledge. This was followed in 2005-06 by a community-based research project to document our traditional practices and our ways of caring for our land and resources. On completion of that work, our District Toshaos Councils (DTCs) agreed in December 2007 to develop an outline plan for caring for our territory. This latest work has been carried out by our people in large part in response to a request made by the President of Guyana in 2004 asking our leaders to show how we intend to use, care for and develop our lands. With the increasing presence of external developments in Wapichan wiizi and the growing pressures coming from mining, logging, roads and other activities, we are more determined than ever to finally have our lands secured and to put this plan to work for the benefit of our future generations, Guyana and the world. Aizii baorankaduzu kida’anaa pidan nao morotinan Wapichan wiizi pabi;inaka kidanaa aimakan kida sha’apapa kara wuru’u mining kikizaz manawunu’u atamunapa karuz, darukidao dunap kida tominan napain iribi baoran kaduzu kida sa’apapa kao, pawa’a zii itoman wa ma’ozaka dinan wa aipan wa kazanatan wa wiizi na’apain wa kaudin kida kizi’inaa wuru’u na’apam nii wa kau’u nazotapanzuz wa wiizi dini’itino ati’o nii kaminkau’utao nii Guiana napain ipai amazada kapam. 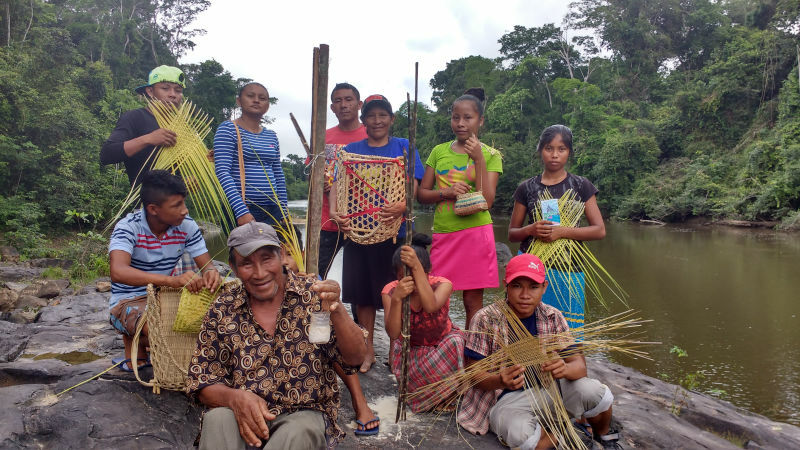 In 2015 the Wapichan people and our organisations were awarded the prestigious UN Equator Prize for our work on community mapping, action research on customary use of our lands and detailed work to draw up a sustainable land use plan for our collective Wapichan territory. In April 2016 we also succeeded in starting formal land talks with the government of Guyana, which are ongoing in 2017. 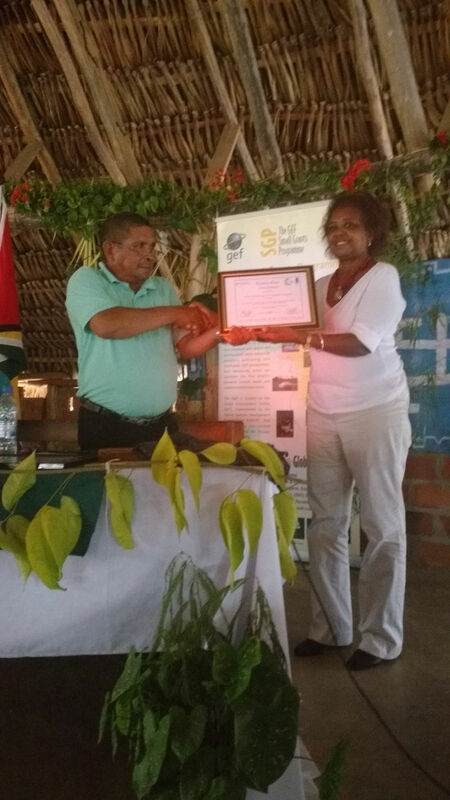 In April 2017 our collective representative body known as the South Rupununi District Council (SRDC) was legally recognised under the laws of Guyana. Our SRDC has many projects and initiatives ongoing to implement the vision set out in our Territorial Plan adopted by all our villages in 2012. One core project is to develop our own system for monitoring and watching over our Wapichan land and resources, which is training and supporting 17 monitors resident in all of our main villages and strategic settlements. Other work includes efforts to enable the transmission of traditional knowledge to our young people. Our elders are carrying the youths to special places and sharing legends about the land and our customary use of the forest, mountains, savannah and waters (see picture below). The SRDC is also leading our land talks and is appealing to the government to settle our land claim and title extension applications to the full satisfaction of all our Villages. We ask them to recognise our rights and to help us move our territorial plan forward. Let us work together to realize the vision of the Wapichan people for this beautiful land we call Wapichan wiizi.